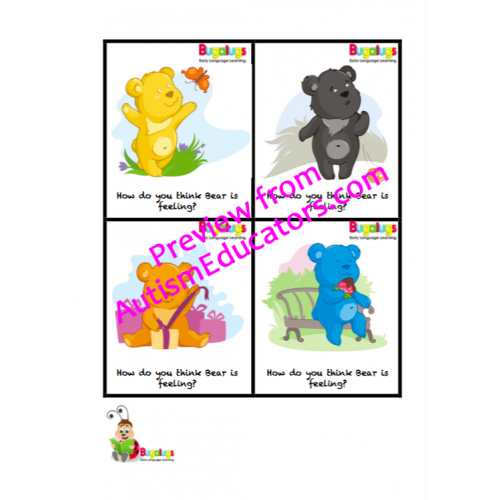 The child must use inferencing skills to identify which emotion that the Rainbow Bear is experiencing (i.e. 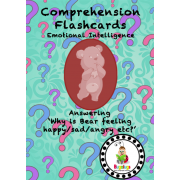 is the Rainbow Bear is feeling bored, angry, sad, happy, jealous, worried, scared, surprised or loved?). 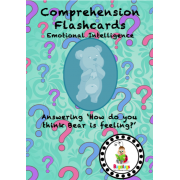 The child is asked the question 'How do you think Bear is feeling?' 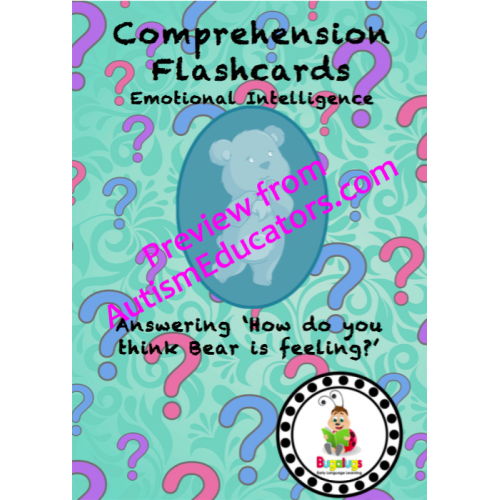 on each flashcard. 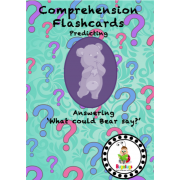 These flashcards require high level explaining and comprehension skills, which correlate to BLANK level 4 questioning. 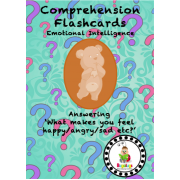 Given a flashcard with an image of an obvious emotion felt, STUDENT will say what the emotion is (ex. 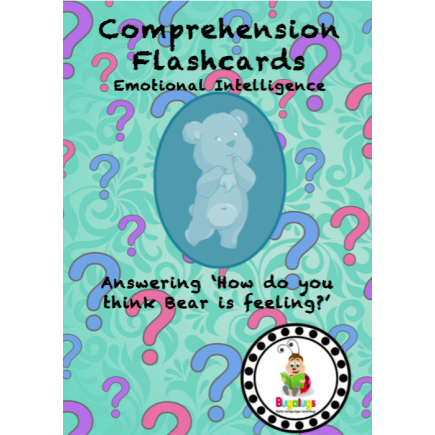 happy/scared) by saying or writing a response to, "How is he (bear) feeling? ", in 4 out of 5 scenarios, with 80% accuracy, by MONTH, YEAR.